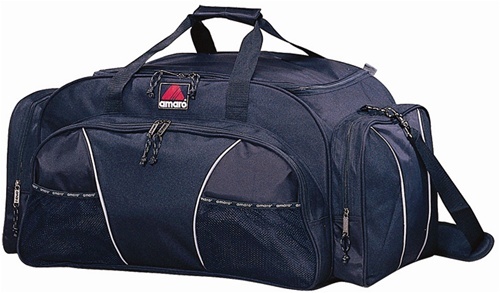 Dome shape designed duffel with front elastic mesh pockets are available in 4 different sizes. (Mini- 16", Small- 20", Medium- 26", and Large- 28".) Silver contrast piping trim gives this bag a very sporty but casual look. Large U-Shape zipper opening for easy loading. Two large side zipper pockets. Key tab is included inside the front zipper pocket. Adjustable and detachable shoulder strap with padding. 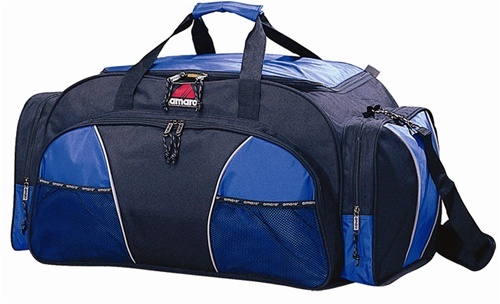 This is a great duffel for all kinds of outdoor events.